Coast is a unique Bed and Breakfast with the Bean Inn restaurant on the ground floor. All rooms have en-suite shower rooms, most with lovely sea views over St Ives Bay. 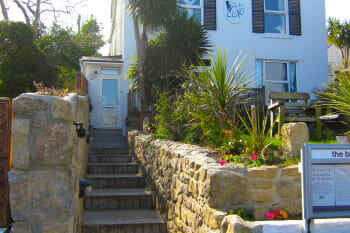 Set back from St Ives Rd, Coast has it's own off road parking and garden/ decking for guest to enjoy during the summer. Extensive breakfast options available. Breakfast served from 8.30-9.30. Special diets catered for and packed lunches available. Interesting and imaginative artwork throughout the building and cards for sale. Fantastic location 1 mile from St Ives, a 20 min walk or a few minutes on the bus. A 10 min walk to the beautiful Carbis Bay beach and spa. Coast B&B was perfect from start to finish, really nice & clean and welcoming. Great location, the local beach in Carbis Bay is lovely, only 20 min walk into St Ives and good local transport links either by bus,train or the SW coastal path is a nice walk as well. Easy self check in service. Didn’t see any of the staff due to us being busy all weekend but had a really pleasant stay here. Short taxi ride away from st ives. We love Coast, probably the best B&B we have stayed in, the staff are very friendly and the food is glorious. Location is also very convenient. Highly recommend. 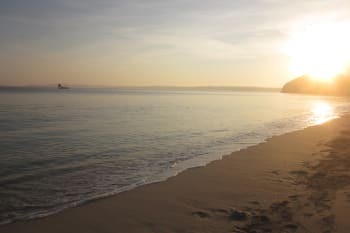 Carbis bay is beautiful, ideal for family, their is a lovely walk along the coastal path which takes you to St Ives where you will find many very good cafes & restaurants. Lots of very interesting shops. Visit the Tate it's well worth it. Caution! Lunch for take away very expensiv,price ist not fair!!! Really enjoyed our stay. The house is charming and characterful, staff friendly and welcoming, the room was comfortable, clean and quiet. Easy bus travel to St Ives, and beyond. Tate Gallery, Barbara Hepworth museum and garden, the Leach Pottery and Museum. Boat trips from the harbour to see seals. We ate twice at the Bean Inn - absolutely excellent! For vegans, discovered the Market Place cafe in St Ives offers vegan cream tea! Would recommend for anyone looking for a very reasonably priced stay, it has more of a hostel feel than luxury B&B! Quirky but so friendly. The St Ives archive is in Carbis Bay if you are interested in the local history, full of folders of information, newspaper cuttings,books and photos. One of the best views I have ever had! The restaurant underneath Coast, The Bean Inn, is very tasty and well worth booking, especially if you know you will be arriving tired! Had another lovely stay here. Six days was not enough and would have loved more if we did not have work to get back to. As always we feel very relaxed and comfy here and love the location close to beaches and St Ives centre. Walk in to St Ives via the coastal path as scenery is stunning! Enjoy a meal at the Bean Inn as they are really helpful with dietary needs and food is very good. We were not met by the owners on arrival,just the staff of the restaurant who informed us that the breakfast was only available between 8.30 and 9.30. As we needed to leave at 7.30 this was no good for us. The restaurant said the best they could do was to leave a croissant, fruit and a bottle of water. This is not good enough. If you are happy with a vegetarian breakfast at a fixed time it might be ok,but otherwise we wouldn't recommend it. I really enjoyed the walk from Carbis Bay beach to Lelant across Porthkidney Sands... great if you like some peace and quiet away from the summer crowds. Otherwise it was very convenient to be able to jump on and off buses with the 7-day bus pass covering the whole of Cornwall. Fantastic location & very attaintive staff! Very nice accommodation and food. The room has a beautiful sea view. A pleasant and comfortable house. I was made to feel welcome and felt at home. Breakfast was varied and tasty. I enjoyed my stay. Easy access to st ives and coastal walks. Good location. Fabulous breakfast and option for evening meal if you want veggie.Room very small but adequate for a 2 night stay. Good clean place . good location and very friendly staff . The vegetarian restaurant is great too . Great location, brilliantly clean room with great views. Great travel advice and recommendations from friendly staff. Very accommodating at breakfast. Nothing to fault. Would happily stay here again. Extraordinary familiar atmosphere. The ecologic concept and only vegetarian food seemed a bit strange in the beginning but impressed us very quickly. Delicious breakfast! Service was excellent: Every morning small talk with tips for the day. Cape Cornwall with beautiful landscape is worth a visit for walking. Fridays at lunchtime (13.10pm) or during evensongs every afternoon you can listen to wonderful music in Truro Cathedral for free. Staff at Coast, are extremely welcoming & accommodating. Karen, is a lovely lady, who waited on you at breakfast, she is so warm & friendly, as was Kiera, the young girl who served me for the evening meal I had booked one night during my stay. Kiera, very kindly helped me choose, as I was spoilt for choice with the beautiful Menu! Paula, & her team make beautiful meals, as well as lovely breakfasts, too. Gail, who takes care of the B & B Bookings, is also very friendly & helpful too. The second floor room was a little cramped but perfect for a one night stopover. We slept well despite the proximity of the road. The food was excellent but the service was a bit haphazard. Perhaps you should consider brushing up on staff training and lay the tables for breakfast prior to starting service. If you don't have your own transport, would recommend getting the bus from St Erth station to Coast B&B as there's a bus just outside and that way you can avoid the walk up the hill from Carbis Bay station with your luggage If you plan on visiting galleries in st Ives would recommend buying an art pass from the information centre there ~ gets you into Barbara Hepworth, Tate St Ives, Leach Potteries, some galleries in Penzance too ~ the pass lasts for a week and you can visit as many times as you want! Enjoyed every day at coast b&b! Breakfast was amazing and the staff very lovely and helpful. On site restaurant was excellent and the walk into St Ives was lovely, although steep in places! Amazing breakfast! Staff is really friendly, enjoyed my stay. I was tucked away in the top floor in an incredibly cozy room with a stunning view of the hillside town and beach. The room was small, but I knew that going in and it was honestly part of the charm. I had everything I needed. The bed was clean and very comfortable, and waking up in the morning to with the sun was brilliant. Upon my arrival we were greeted very warmly, and breakfast every morning was simple but delicious. I mentioned an allergy the first day and they remembered it without me reminding them on subsequent days. Had dinner in the Bean and it was delicious. A great stay. Wifi was slow for me in the top room and occasionally didn't work at all, FYI, but that wasn't catastrophic. Friendly, clean, comfortable. Great stay. Take one of the pubic footpaths down to the beach. It's quite steep, but so beautiful to walk through the lush green and hear the birds and waterfalls. Carbis Bay Beach is beautiful. I went for a long run to the east along the coastal footpath and it was absolutely stunning. The beach just east of Carbis Bay is actually breathtaking. Long and wide and it seems to go on forever. A nice easy walk into St Ives, which is lovely and quaint and filled with good food and drink and shops. If you're a coffee person, go to "Mount Zion" in St Ives. Tiny coffee place in a 16th century shack. It's high on pretension but honestly a delicious cup of coffee. In Carbis Bay I discovered the public footpaths on the top of the town, a lovely place to walk or run, giant rhododendrons everywhere, lots of wildflowers, all leading up to the big stone statue thing at the top of the town. The Cornish Arms, just down the street from the Coast, is a lovely local pub with great beer/cider and food. Felt very welcome and relaxed there. There's a Tesco just down the street, so if you need to stop and get supplies/wine for your day of wandering, it's quite easy. Thank you for running a vegetarian guesthouse. It is so important for lifelong vegetarians. Everyone is very friendly, the food is excellent and we had everything we needed. Very friendly and welcoming staff and I loved the cat and the adopted seagull! The breakfast menu was lovely and had the privilege of having dinner with the Bean Inn and couldn't fault any of it. We will be back! The room we were in Sea Campion was too cramped. We paid for the most expensive room thinking it would be the best, but it wasn't. It is basically a single room with a double bed squeezed in. Other rooms were much nicer, ie the ones we were able to look in to. Staff were really pleasant and helpful, especially Paula. Great location. Excellent breakfast. Relaxed place to stay. Lovely situation - easy access to St Ives Staff very accommodating - will be back! I enjoyed my stay at Coast! It was nice to see the owners and other guests at Breakfast and get recommendations about where to go and what to see. They always asked about my plans for the day and had tips and suggestions to make my day better. The food at Coast is lovely, both breakfast and dinner at the Bean Inn. Do make sure to book a table for dinner early. If you book it at breakfast on the same day, you may already run out of time slots - this place is popular! There are also lovely places in St. Ives that cater to vegans and vegetarians. I had great meals at The Mex and at Blas Burgerworks. Great location - comfy bed and nice atmosphere. Good access to buses. Easy to book, good communication re payment and access on arrival, very helpful regarding local attractions etc. Was also grateful for peppermint tea in the bedroom welcome tray and information on how to restock etc. Highly recommend the Bean Restaurant on the ground floor. On-site parking a bonus in the area. A great place! Friendly, cosy and near beautiful beaches and coastal walks. Delicious vegetarian and vegan food! I can highly recommend Coast. Wonderful coastal foot path to St Ives. Beautiful walks everywhere . Tate gallery, Yew tree Gallery near Zennor( between St Ives and St Just ,magnificent road above the sea!). Also Tremenheere Sculpture garden near Penzance,really worth visiting! Love the friendly atmosphere, looking forward to our next visit. Super base for exploring the Penwith Penninsular,and beyond to towns of Falmouth, Truro, and St Agnes. Extensive remains of tin mining region. Superb coastal walks, as well as inland. Ancient remains. Many gardens to visit locally. Not our scene but fantastic sandy beaches abound. The room, whilst having a really good view and nicely decorated, was very compact. We were walking the coast path and arrived late and wet. Given the key by a waitress in the restaurant downstairs, not part of the B & B. Radiator didn't work and nowhere to hang wet clothing. The breakfast is semi self service and was fine. It is on a busy road but set back a little which helps. Felt a little impersonal don't think the owners live on sight, there is a telephone number for problems. Fine for one night if your travelling by car, or used to Travel lodge. Archie Browns Café in Penzance is worth a visit if you are vegan or veggie. Quality food and an excellent range for vegans. It was great to make holyday in your house, because it is a very private and cozy atmosphere in you COAST!We enjoyed the delicious breakfast with the personal weather forcast from Gail. Vistit the minack theatre and St. Michaels Mount! Also the three beaches of St. Irves are great! It was an amazing stay. Gail was so friendly and helpful. 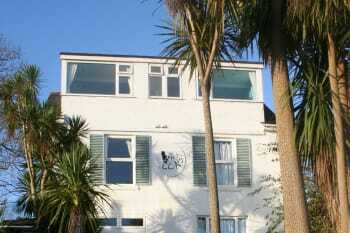 We stayed at Coast twice for two consecutive nights first on Thursday 10th August and then on Tuesday 15th. Parking is a great boon in the overcrowded resort of St Ives. Friendly staff,comfortable room. We just lacked a 'hot room' to dry our shoes and clothes when we came back literally 'soaked through' from a walk along the coast that ended in a an hour of pouring rain. Fortunately this was our last day and we could 'dump' our wet things in the car boot. The Bean Inn is to be recommended for its food. Nice long walks along the coast for keen walkers. Parking in and around St Ives is certainly difficult especially if you want to park for just an hour or so. Beware of popular guide-book recommended eating places in St Ives : without a reservation you have a problem ! As first time visitors to St. Ives, we had no idea we were supposed to book a table at The Bean Inn so far in advance. We were so looking forwards to eating there since we were staying at Coast B&B and were disappointed that we couldn't. Would have been great to try lunch and/or dinner by you. When booking a room there, it would be helpful to ask if people intend to eat at the restaurant so that they know they need to schedule in advance. If you want to eat at The Bean Inn restaurant, and are also staying at Coast, make reservations to eat in advance! Or you might be out of luck. again another thoroughly lovely stay at Coast, lovely, helpful and friendly staff, wonderful food and location. very accommodating...look forward to my next stay. I had a really lovely stay and will come back as soon as posible for me! Listen to the tipps from Gaile!! Very good location, just a 5-10 minute walk to the next beach, 15-20 min walk to St. Ives harbour. Very friendly and helpful staff. We really enjoyed our stay at the 4 ladies' little jewel - the wonderful beachstyled room with lovely view, the excellent breakfast and vegetarian dinner and the nice, personal tipps for our excursion. So even the rainy days became sunny and warm!! The team were helpful and friendly and the fact that I was unable to book a table in the restaurant was my own fault due to not reading the welcome pack properly! The walk into St Ives from Carbis Bay along the coastal path is a delight. Loved staying at Coast and hope to be back, thank you! For vegan food in St Ives: Great tapas at porthmeor beach cafe; Blas burgers has lots of options and does takeaway if the restaurant is too full. I didn't end up trying them this time, but I was excited to see that there are lots of drop-in drawing/art workshops (for adults and kids) run by the Barnoon workshop - will try them another time. Everyone was very friendly and the location was good since it meant we could walk to St Ives and not worry about parking. Excellent service at the same time as being both friendly and laid back! Great! Wish you were ALL Vegan (as my airbnb is and business rose!!) but the restaurant is lovely and had a good meal (starter as I wasn't too hungry) and wine. Perfect. Thank you for your hospitality en friendliness. We loved our stay and especially your kitchen craft(wo)manship ! For vegetarians but also non-vegetarians, we recommand having minimal one dinner at the Bean Inn (in house). Excellent stay. Pleasant atmosphere & Friendly staff.Thank you Gail and everyone! Book the room with the sea view. It's really worth the money. Great location, lovely views, very friendly,wonderful food. Carbis Bay is a lovely beach. A must is driving to Menack open air theatre, Lizard Point and Mousehole. Eat at the hotel's Bean Inn. It's great, but book ahead. An alternative is Scarlett's on the turning for Hayle. Great breakfast. Very clean, room had everything you need, comfortable. Quite arty style. You were all so lovely, warm and helpful Coast and Bean Inn. It was a joy to stay with you. I will definitely recommend you to others. Already have. And write a glowing Trip Advisor review. I love that you have a vege restaurant on site that makes delicious food. So yummy and very convenient And that you get a vegetarian breakfast! Unheard of! That walk from Sennen Cove to Lands End taking the open air bus was an absolute highlight. As was walking to town on coastal walk. Think good to suggest people do that at least once. And Barbara Hepworths work. And coffee at the Tate cafe. All things you suggested Gail that I wouldn't have known about or known how to prioritise otherwise. So thank you. We rely on google maps so much now to find places. I would let people know reception might be patchy at Carbis station so download a map to Coast before arrive or book a taxi so know where to go on arrival. Lovely relaxed place to stay with very friendly hosts and staff. Informative information given about the area and places to visit. Superb breakfast and the restaurant food was very good too. All in all would recommend. There is a 15 min walk down into St Ives or some short walks down to Carbis Bay beach. A little hilly on the way back to both, but there is a very good bus service going into and back from St Ives. It really doesn't take long to go anywhere from this location. So many places to visit in Cornwall. Friendly and helpful staff. Easy to park. The room was a little bit small for 3 people but fine for a couple of nights. Breakfast and check out was a little bit early. Great that you cater for different dietary requirements. The bathroom wasn't very clean. Carbis bay is lovely, and a short walk from St Ives, with many attractions, particularly the Barbara Hepworth Museum and the Tate. This is our third (or fourth!) time staying here so we obviously love it! The food is excellent and the welcome is warm. Thanks for a lovely trip! Perfect stay. I love the no fuss approach. A pleasant but slightly strange B&B. Staff are around only at breakfast time and were unwelcoming when I arrived late on Sunday night (at the time I had stated) as I should have known it was their night off. They were perfectly friendly in the morning. Rooms are not cleaned in any way during a stay so bin emptying, loo roll additions and clean cups are all self-service. This is made clear in the room guide, but wasn't what I had expected The single bedroom is all bed and very little room. The breakfasts are excellent and you should book an evening meal at the restaurant, which is also very good. Beautiful walks, pristine Beaches, so much to do within a 20 minute walking distance. St Ives has everything you could wish for, many Art galleries, exciting places to eat, lots of lovely shops & a wonderful shop cat called Fish Pie. We stayed 3 nights and were very happy with the accommodation, breakfasts and also as we enjoy walking the location was a lovely walk down to the village of St Ives. We also had a lovely dinner at the Vegetarian Restaurant - with a nice selection of dishes and wines. Very friendly and welcoming staff who offered suggestions on where to go and how to get there. There are numerous cafes and restaurants in St Ives and we enjoyed a hamburger at Hub which is situated opposite the waterfront, oyster and cheese platters at Beach Bar - the coffee is good here too. We enjoyed walking along the beaches, cobble streets and a visit to Penzance. My stay at Coast was great. Booking and checking in/out procedures were easy and well explained. All members of staff were efficient and friendly. Breakfast on both days was excellent, with a good choice and quantity available. 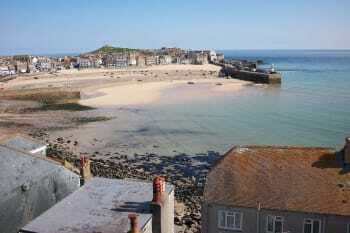 Compared to a lot of accommodation in St Ives area Coast is extremely well priced. The B & B is very clean and comfortable and a little quirky. The artwork exhibited is interesting and makes a pleasing and relaxed environment. I would recommend the coastal path for walking, views and photography. All the beaches in St Ives/Carbis Bay are beautiful and each a little different from the others. Great stay. Lovely room with sea view. Lovely breakfast and friendly staff! All staff were very friendly and helpful. I proposed to my partner the weekend we stayed and Gail was very kind and went out of her way to the shops to get me a bottle of champagne and flowers so they could be put in our room for when me and my partner got back. It was very much appreciated. We want our come and stay every year from now on! With only a 10-15 minute walk to Carbis Bay train station, getting in to St Ives by foot (so not worrying about parking) was very good. It also meant you could have a couple of drinks with your meal out and just get the train back. The last train back was 10:30pm so definitely not too early. Wonderfully situated, Coast is full of warmth and charm. 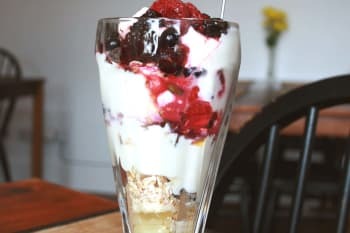 Situated a pleasant 25 minutes walk from the heart of St Ives it offers clean, comfortable accommodation and wonderful breakfasts delivered by the charming and approachable staff. I have been 3 times now and will go again. For those who like a homely feeling away from home. We have returned here many times and will happily do so again. Really friendly B&B, everything you could hope for. Lifeboat Inn, St. Ives is highly recommended, great food and fantastic service. it was a oleasure and a joy to stay at "Coast"! above all: the kindness, the help, the friendlyness of the staff we will come back! when arriving by Train: it is easier to leave the Train at St. Erth and take the bus direction St. Ives, who stops in front of "Coast". It was not clear to us at the time of booking that one of the rooms was located directly next to the restaurants, meaning that it was not possible to sleep in after 8;30am. Also, some of the furniture was a bit old/the mattresses were not the most comfortable ones. However, all in all, we had a pleasant stay and would return as the bnb offers great value for money and the host is extremely helpful. We loved the special attention and care that was given from your team. The food was amazing !! Friendly, relaxed service, caters for individual needs. Tate Gallery, coastal paths, Leach Pottery, walks by Godrevey lighthouse. I liked the vegetarian food, it was healthy anf very nice. The room was a bit small. When leaving very early I got a breakfast to go! Also healthy and good. Friendly and helpful hosts. Coast is kept perfectly clean. Our room on the top floor, although small, was well presented with a great view and we enjoyed our stay. I would have liked to have had toast made for me at breakfast instead of having to use the toaster myself but I guess I'm just lazy. Rajpoot the Indian Restaurant in St Ives (located by the cinema) is veg and vegan friendly and a good alternative to the Bean Inn on the nights it doesn't open. You need to book as it is very popular. Great location, Coast is situated not far from the beautiful footpath to St Ives(stunning views! )if you love walking. A very friendly and welcoming B&B! I can highly recommend the delicious vegetarian restaurant "Bean",in the same building! Eat at the Bean Inn! Walk the Coast Path - it's stunning. Wonderful gardens to visit. Many interesting prehistoric sites and tin mining heritage coast. We've stayed here 3 times now and it gets better every time. Very friendly and comfortable with some of the best food I've ever tasted. Gail and Paula made us feel right at home again, and Paula's cooking is to die for. Thanks for everything ! Extremely helpful and accommodating of all our little children and our varied dietary requirements. Very comfortable beds! Unfortunately, as we were there for a family wedding, we didn't get time for sight seeing. Everyone at Coast B&B was very friendly and nothing was too much trouble. I am gluten free but breakfasts were delicious especially the pancakes! My room was the Wild Poppy room, small but big enough for one - in fact very cosy. I was glad to be at the back of the house so no traffic noise from the main road. The location is good with regular buses into St Ives. And the wonderful restuarant on site is a must - fantastic food at a reasonable price, and then you can just pop back upstairs to your room. I was glad that towels weren't changed daily as that has always seemed a waste of precious resources. It also means once if very private. I needed to stay in sometimes as I had a foot injury so the ability to come and go and be there in the day was most welcome. Overall brilliant place to stay and well worth every penny. Its worth investigating different bus companies as one is much cheaper than another. It's a while since July (Nov now) so I can;t recall the name of the cheaper company. They stop in the centre of St Ives whereas the main bus company stops at the main coach stop outside of the town with a short walk in. Lovely, interesting building with fabulous views over the bays from a great clifftop vantage point.The staff couldn't have been more helpful or attentive. The veggie restaurant on the ground floor was wonderful, and we wished it had been open on all the nights we were there (closed Sun / Mon). But the Saturday night meal was a real treat. Thanks to local friends we discovered a lovely pub in Lelant, a couple of miles away called The Watermill. Delightful old country pub. For great veggie day time eating, try Archie Browns in Penzance and Truro. Eat at The Bean Inn - it's fabulous! A charming B&B with friendly and helpful staff. Great food, comfortable and clean rooms in a perfect location with stunning views. The rooms are cosy and crammed full of beautiful artwork. We loved our stay and we will be back! The in-house restaurant is delicious, as is spinacio's in St Ives (another veggie restaurant). Loads to do within short drives. Beware that Land's End is tacky and expensive, but the views there are lovely still! (You pay for a weeks parking there, so if you are lucky someone might already have gone there and paid for parking who is willing to give up their ticket). The walk to St Ives along the coastal path is beautiful, but for those of you used to flatter locations, be aware your calf muscles will remind you that you did it the next day! Enjoyed the food. Welcoming, homely, happy place. The twin room is a bit small for 2 adults and their luggage. Thanks to Gail for helping us with suggestions of places to visit. Lovely views, lovely food, friendly helpful staff and only about 15 minutes from the beach. We were disappointed with the breakfast as there was not anything different to that which can be found at non veggie hotels. At another veggie B and B we stayed at they offered homemade alternatives to veggie sausage as well as homemade bread. Nice walk down into St Ives. Really relaxed place to stay. Unstuffy and welcoming. Excellent location and friendly staff. My one complaint would be the room was not great if you are over 6 foot, the eaves can't be helped but the mirror in the bathroom was useless unless you are 5 foot 3". 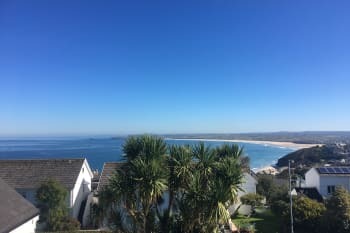 Coast is quite simply the best place to stay in Cornwall! The food is delicious, all the staff are very friendly and helpful, the rooms have everything you could possibly need. We've been going twice a year, sometimes three times a year, for about 10 years. We wouldn't consider going anywhere else. In St Ives there's the Babara Hepworth museum, the Tate Modern and many galleries dotted along the narrow winding roads. The surrounding coastline and scenery are stunning whether on foot on travelling by car. The been inn vegetarian restaurant which is part of the Coast! Very tasty and good quality! All the staff were very polite and friendly and nothing was too much trouble. Food is amazing and vegan friendly! Art and decor lovely. We stayed over four nights for our honeymoon, it was superb! We stayed in the Bell Heather room which has a stunning view of the sea and is quite stylishly adorned with beautiful pictures. The en-suite bathroom was very clean and more than spacious enough for the two of us to store our toiletries. We were blown away by how soft the bed linen was, so lovely! The staff were very helpful and friendly, Gail kindly printed the day's weather forecast for us each morning, thank you! My partners favourite thing was the banana pancakes, and I fear that my pancake cooking standards may now have to improve. I enjoyed the full english breakfast, the tomatoes being my favourite item as they were so sweet and perfectly cooked (I don't normally like tomatoes at all!) We would whole-heartedly recommend this charming, warm and beautiful B&B to anyone and are, ourselves, looking forward to visiting again. Thank you Coast! We found it very easy to nip to St Ives via taxi, or via the coastal footpath, which has breathtaking views. It is rather steep in places but well worth the twenty minutes it takes to reach St Ives. We ate at a few places that deserve a mention. The Mex in St Ives was so much fun, the staff were darlings and the food was incredible, there were plenty of veggie options. We also ate at On Shore, along the St Ives waterfront, the views were lovely. It is mostly seafood, however I really enjoyed their vegetable risotto. We stopped at The Balcony, again in St Ives, which has beautiful views of the harbour and a few nice burger options. It's worth noting as it was a little more economically priced. One of our favourite spots was The Rum and Crab shack, quirky and relaxed, we both enjoyed honeymoon mojitos that were unlike any I've ever had before, simply divine! Spots worth visiting are St Micheal's Mount, access is via the causeway from Marazion or by boat (SO MUCH FUN!) It is a bit of a climb to the top, so good footwear is advisable, however, I am rather unfit and made it with plenty of energy to explore the fascinating castle! The Lost Gardens of Helligan were mesmerising, steeped in history and a real love story for regeneration, I'd recommend these world-renowned botanical gardens to anyone who is a romantic or a child at heart! It's worth noting that you can purchase a combined ticket for Helligan and the Eden Project (also incredible) at a bit of a discount. Finally we visited Seal Rock. We went on the Sea Horse and booked through the Sea Ranger. We enjoyed an hour and a half of gorgeous Cornish coastline views and met some beautiful wild seals, nothing could have prepared me for their cuteness. We also spotted some Sunfish. There is still so much that we want to see and do, I'm certain that we'll return soon. To anyone visiting this beautiful part of the country - you will love it! Very good value for money and the Bean restaurant was a great bonus (to be able to eat alongside fellow veggies/vegans). Parking was also very useful for our motorbike. Only had 2 days but very enjoyable visits to the Minack theatre, Cape Cornwall, St Ives and boat trip out to Seal Island. I would suggest that the waste bin in the ensuite bathroom should be changed daily. Lovely hosts !! Stayed in family room, small but it's all we needed. Wonderful staff, great breakfast, made our holiday. The staff are friendly and willing to cater for any specific needs. Walking distance only 1 mile from the beach and St Ives resort. We stayed in Bell Heather which had a fab view and was a nice room but was a little on the small side. It could have done with a few more shelves and a bin in the bedroom (only a very small bin in the bathroom). vegetarian tapas in Porthmeor Beach Cafe excellent - thank you for the recommendation! A very nice B&B located strategically near to St Ives. The best thing about Coast is surely the hearty breakfast that we can order in the morning. The staffs were also friendly and helpful. As we were quite unsure what to see during our 2 days stay in Cornwall, Gail was really helpful and gave suggestions and what we should visit. Stayed at the top floor rooms and it was surely worth the climb. The sea view was amazing. Even my parents who aren't fans of stair climbing were satisfied. Would definitely recommend this B&B for those visiting West Cornwall. Walkable to St Ives, but for those who aren't fans of uphill or long walk can take the train to St Ives from Lelant Sailings. Parking in St Ives during peak season is a nightmare. great base for vegetarians! fabulous food at the Bean Inn. 20 minutes walk along coast past into St. Ives or walk into Hayle - along bus root if you get tired! Lots of shops, galleries and places to eat in St. Ives or drive/get the bus out towards Lands End - stop at Geevor Tin Mine for local mining heritage, St. Just and Cape Cornwall for more galleries, walks and stunning views. We enjoyed our stay. The rooms were quite small but had everything we needed. The only hiccup being no hot water to the basin in the double bedroom, which was only fixed halfway through our stay. The food was great and the staff were friendly and helpful. It was a good 20 minute walk to the town but the bus service was pretty good. Parking in high season - never easy! We were only in St Ives for a few days but would strongly recommend the boat trip to Seal Island (we have kids). With regard to local restaurants, if you're going in high season, definitely book ahead. Please note - the vegetarian restaurant, Spinaccio's, is closed permanently although still advertised in vegetarian publications. The service in Pizza Express wasn't the usual high standard. I highly recommend Coast B&B and restaurant , nice place to stay and lovely food , very close to the beach and easy to get to St Ives or other destinations . Very relaxed and relaxing atmosphere.Fabulous food!!! The Bean Inn is a must!! 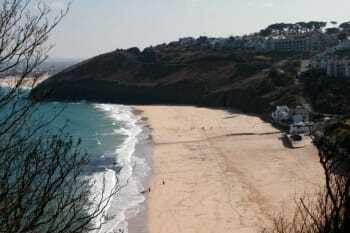 Places to visit-Porthcurno Beach,St.Michaels Mount & plenty more!! We had a delicious meal at the Bean inn which is conviently situated in the the B&b,I highly recommend the dhal which is delicious with flat bread.you are a few minutes walk from Carbis bay hotel and beach which is lovely for a sundowner and there is nothing like a walk on the beach to soothe the soul. Like staying with good friends who don't mind you going off to do things on your own, but are always happy to see you. Perhaps the breakfast tables should be pre-set to save guests getting up and down to fetch stuff. The view from the rooms on the top floor were amazing - steep stairs though and reduced headroom. La Casita restaurant was great and only a short walk from the B&B. The Gannet pub with food is lovely having recently been refurbished and also a short stroll away. Lovely stay. High spec decoy, veey comfortable and parking a must. Will definately be staying again when we are visiting cornwall in the future. Great choice for breakfast and not too far to walk to St Ives. A pleasant stay as usual. 10am check out time quite early for a sunday though. Thank you - Most friendly and welcoming. Excellent food and a very splendid outlook from my top floor, very comfortable room. A splendid base from which to explore - especially all of the galleries and gardens. The Cornish Arms was a great place to eat when not eating at the Bean Inn. A very pleasant place to stay as a single person. Great location if without a car. On the main bus route into St Ives, and short pleasant walks there or to Carbis Bay. Walk along the coast path to St Ives rather than the road, much nicer ! Bean Inn lovely for vegan eating, try AlsoThe Mex as they will veganise anything on menu, vegan pasties also available in St Ives ! Take a walk a long carbis bay. In st ives you have got the Barbara Hepworth museum and sculpture garden. Leech pottery, seals and dolphins trips and loads more. Friendly staff Good breakfast and fine food in the restaurant Really small rooms, very difficult with a babybed. We were given some ideas about veggie places locally, but if there were a list that would be extra useful. The Minack theatre is well with a visit! It's £5 cash to park at Lands End. Not having cash we had to drive 5 miles to the nearest place we could get any and head back! Despite behinds the scenes problems, including the main cook breaking her ankle a few days before the start of our stay, we couldn't have had a nicer time and cannot recommend Coast highly enough. On site restaurant, the Bean Inn, is wonderful, but staff can also make recommendations for eating in St Ives which is only 15 minutes walk away. If traveling by train, you can walk to Coast in ten minutes from Carbis Bay station by using the foot paths by the side of the hotel to the right of the car park. Really enjoyed our stay - all the staff were just so lovely and friendly. Absolutely loved breakfast!! The room was really comfortable, had exactly what we needed. Location was brilliant as we could walk into St Ives. Really impressed. The Vegetarian restaurant on site - The Bean Inn - is absolutely fantastic!! Highly recommend to book a meal there. This is such a lovely relaxed place to stay. Breakfasts were delicious and the beds were so comfy. The people who run it could not have been more helpful. It is eco friendly as well so you can ask for a change of towels if you need them and can change your cups and glasses at breakfast. It feels more like a home from home We had the downstairs room and when the restaurant is open you can hear the diners but this did not bother us at all. I would definitely stay here again. It was lovely. It is a downhill walk into town, and downhill to the beaches so be prepared for an uphill walk back but you can walk along the coast path mostly or Coast is on a bus route. There are pubs and restaurants in the local area within a 10 min walk. Coast have a veggie restaurant on site open 5 evenings and the food is amazing. Staff were warm and friendly. Although our room appeared clean, it smelled heavily of damp. It was particularly bad by the side of the bed and in the wardrobe. The food and staff in the Bean Inn were superb, but I do think that Coast should let guests know before they book a room that the restaurant is closed 2 days per week. As vegans, the reason we booked in at Coast was because we were hoping to have breakfast and evening meal covered without having to look for somewhere to eat. During our stay, the building alarm kept going off and no staff were around to stop it! Waiting 20 minutes for someone to come and deal with it wasn't very pleasant. Lovely location, staff very friendly and helpful. Residence is a little basic. Would be nice to have a lounge facility but this not possible due to the excellent restaurant downstairs. Lovely walks,for instance Hells Mouth to Godrevey. Bean Inn restaurant highly recommended. Short hops to both Hayle and St Ives, from Carbis Bay. Please see my Trip Advisor review. Absolutely fabulous stay, great room with a sea view. staff were so friendly and helpful. The food in the restaurant is wonderful. Easy, short walk into St Ives. I can't fault our stay. lovely staff and atmosphere. Very helpful. Loved breakfast with the different choices. Walk along coastal path to St Ives or other direction to beaches are lovely. Bus stops right outside to access St ives,Penzance etc. Great views from coast. We had a lovely stay with you, lovely place and very friendly staff. The floors of the rooms could have done with more of a hoover as they were quite dirty. Other than that, a great place to stay! Thank you! 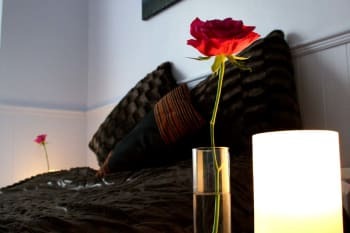 Lovely relaxed atmosphere, good room with the bonus of the attached Bean Inn restaurant, serving food that was amazing, all well placed for activities in St Ives and the many nearby beaches. Wonderful! See St Ives, explore its shops, galleries and harbour. Explore the many beaches, take in a sunrise or sunset. Further afield, visit the wonderful Minack Theatre, be inspired. We received a very friendly welcome. Any problems we had (ie: we weren't working the shower properly!) were dealt with immediately and with good humour. All of the staff were cheerful -- especially at breakfast time -- and very helpful. It was so nice to find the Bean restaurant on the premises, where we were able to enjoy delicious dishes, saving us the hassle of finding other places to eat. We would certainly hope to visit Coast again as it is a lovely place from which to explore the area. Thank you to you all. The shower in the room wouldn't hold a steady temperature, was either boiling hot or freezing cold. Apart from that the room was beautiful. I would definitely come and stay again. A wonderful bed and breakfast with lovely food and service. The views are breathtaking, the rooms are comfortable and the breakfast is superb. Strongly recomend the Bean Restaurant for an evening meal even if you are not vegetarian as the food is imaginative and delicious. Lots of things to do in St Ives - art galleries, the beach, the Tate, etc. Carbis Bay beach is a 10 minute walk away - the sands are white and inviting. We had a great time at the Coast B&B, the staff was very friendly, helpful and welcoming. The breakfast and the Bean Inn dishes were excellent. The Bean Inn veggi restaurant which is part of Coast is very good, you need to book in advance tho as it is usually booked out for the evening. There is a bus stop in either direction very close to the B&B and a large Tesco is also just 5 min away. We usually walked into St.Ives, there are some nice hidden foot paths along the coast if you want to avoid walking along the main road into St. Ives. We also recommend the Bus Pass which allows you to travel on any bus as many times as you like all over cornwall for 1,2, 3 or 7 days. The Tate is well worth seeing, the beaches are lovely and there are some good opportunities for hill walking. Wonderful breakfast, catered well for vegetarians Good nights sleep in a good bed. We found a local yoga teacher and were able to book an evening session with her...really useful. We love the friendliness of everyone at this excellent B&B. The fact that it is vegetarian is the icing on the cake! Evening meals are also available and delicious - plus beer and wine are sold at dinner too. The walk to St. Ives along the coastal path is beautiful and brings you to a stunning beach. Look out for a couple of wild seals who come into St. Ives harbour in the evenings when the sea is in. They follow the fishing boats hoping for an easy meal, ha, ha. Visit the 3 miles of beach at Hayle for unspoilt sands and walk towards Godrevy lighthouse. There is a great café on the National Trust carpark there. Still a bit taken aback by the fact that there was no traditional room-cleaning during the stay. I read about it by chance on the evening of our arrival and could therefore avoid the unhappy surprise it would have caused on returning after a whole day out! First experiençe of a DIY B&B!The room felt also very damp but we discovered the de-humidifier and turned it on...to no effect until we realised the water reservoir was full..we took care to empty it but it would be worthwhile to check before guests arrival. The bean Inn was true to its reputation, bravo! The breakfast was also good. I have a great stay and would definitely come again, however the only bad thing wa that the shower in my room did not stay on one temperature but continually went from boiling hot to freezing cold, and so that just needs to be fixed. Helpful and friendly staff, comfortable room, good food. St Ives a good stretch of the legs or a short bus ride away. Carbis Bay beach close and beautiful, safe for kids. Coast also runs a vegetarian restaurant on the same site which we were unable to attend due to our daughter but which seemed very popular and had an interesting menu - perhaps next time! The Lower Bar on Carbis beach was good value for snacks and drinks and Peppers restaurant in Fore Street, St Ives was good for a family meal but, as with all places in the town, you need to book to be sure of a table. brilliant that all dishes had Vegan option. Staff were very friendly and attentive, we were made to feel very much at home. As I was with 2 Vegans, Gail was brilliant at telling us Yellow Canary served Vegan Coffees and the bakery opposite Boots sold Vegan Pasties - which we all enjoyed! apparently you can see Seals in St Ives port but we never did! The Coastal Paths both ways are lovely. We walked the path to the kidney beach and then caught the train back to St Ives - super train ride. Really friendly staff, good breakfast, esp. morningboggerluck with fresh fruit. good music in the restaurant. Wifi with problems, possible only in the restaurant. Visit tremenheer garden neer Pensanze, really a special garden and a good plant sale. also the garden of St. Michels Mount is great.You may use busses to reach St. Ives which is perfect cause of the fee for parking with private car at St. Ives. Lovely place with individual flair. Great view from the top floor. Friendly and relaxed staff. Thank you! Seafood-Curry at "The Sloope" in St. Ives!!! Wonderful friendly B&B - excellent value and lovely surroundings. I've been before and wouldn't hesitate to come back. If you're staying a week it's probably worth getting the bus pass - it's an easy stroll down to St Ives but the walk back up the hall is less enticing at the end of a long day. Definitely pre-book if you want a table in the restaurant in the evening - it's very popular! It would be great to have a description of location of B&B - nearest road junction etc or building opposite so it is easier to find. Spotless bright cheery room. Very comfortable. Liked the colours used which replicated the fabulous view. On Shore for pizzas, and enjoy West Beach Bakery at Porthmeor any time of the day. Fabulous coast walk to/from Zennor combined with bus journey one way. Day trip to Isles of Scilly a lovely day out. We stayed for a whole week with Paula and girls. Its a fantastic, laid back and brilliant place to stay. The amazing aroma of fantastic food hits you as you walk in. Paula is an inspiration and very hard working. Awesome Veggie becky, comfortably bed and beautiful artwork everywhere. We really enjoyed our stay and all the staff were very friendly, helpful and lovely ladies. The food in the evening was out of this world tasty. Tin mines at Botallack and Geevor, Surfing at Gwithian, Ancient sites such as Chysauster Ancient village and Carn Euny, Men en tol. Friendly, knowledgeable staff. Chilled, relaxed, cool atmosphere at the coast. The coast had a fresh and vibrant ambiance. Unique feel with the dragon fly door knocker, doggy door stop, original cinema seats in the lounge. Also fresh, vibrant art work around the B&B with themed rooms to compliment. We stayed in the red poppy feild room, which although small for a double (which was explained to us prior to booking) was quaint and freshly designed. Every request was catered for such as going out of their way at breakfast to suit our needs. 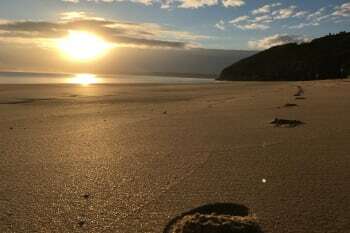 The Coast B&B is close to the coastal path to Ives and carbis bay which is worth walking. If you want to body board it's worth the 15 min drive to Gwithian beach as the waves are far better than the flat carbis bay. The bean inn is a must as the food was excellent with such flavours and night ambiance. Worth a drive to the Minack theatre. The Coast is ideally situated for a base to visit St Ives and carbis bay beach on foot. Worth going to lands end, St Michelle mount and the Minack theatre as a scenic drive of about 45 mins. There's also a handy superstore tesco 5 minute walk away from the Coast,which also has a large beach goods section. The Coast has parking conveniently on its doorstep which was a plus. Wifi connection was a little slow so not to rely on it, but it's free. We enjoyed our stay very much and had been delighted about the vegetarian food, especially the dinners. The top floor rooms are fabulous. All the people at Coast are very sweet. Highly recommended! As a young couple in our early 30's looking for a short relaxing and reasonable break in beatiful St. Ives, The Coast B & B was excellent. The rooms were cosy, clean and well designed to make them a lovely place after time on the beach. Not to mention pretty coastal touches, a small window seat with a view and tea/coffee. As a foodie I loved breakfast and staying two nights were able to sample the lovely hot veggie breakfast and not mention heavenly banana pancakes! Reminded me of ones I had in Bali:) the breakfast also included bread, spreads, soya milk, cereals and fresh fruit. It felt like home with staff always on hand to see if we had been 'fed':) one of the lovely owners was also not to far and was happy to give suggestions which was also appreciated. The place also had lovely art work and very comfortable beds. All in all we thought it was such a gem of a place and will be back not to mention a stones throw away from Carbis bay. An italian grill restaurant down the road from the restaurant was lovely after we checked in late! Also if your not up for vegan/veggie food or would rather mix it up a bit it was nice. Wonderful hospitality, fantastic food, and made a big effort to accommodate a last minute extra guest in our group. Thank you! A must visit for any vegetarians/vegans visiting the St Ives area! Great local knowledge and recommendations too. Easy to find whether coming by car, train or bus. Highly recommended! the food and service was great, thank you! Squashed for 2 people with 2 suitcases 2 carry-on bags. Squashed access to the beds. Very comfortable otherwise, airy downstairs dining rooms, nice breakfasts and lovely staff. Watch out for the shower- unpredictable temp, poor stream of water; squashed for getting dry and hanging clothes as well as towels in the space available. Since when do 2 people not get 2 hand towels -ask if you prefer one each. They will look into putting a hand grip in the shower. Don't drive into town etc. Get a day bus ticket and do Cornwall sights on buses, just coordinate to leave time to get on and off. Change from Mousehole to Lands End bus at Newlyn, but you need to walk to the other street, again to be checked before you decide to do this - otherwise, go back to Penzance! 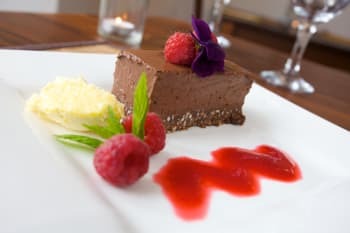 Make sure you book the Bean Inn for dinner, imaginative vegetarian food, also just a short walk away you will find LaCasita restaurant, which we found to be absolutely excellent. Carbis Bay amazing beach, but it is advisable to park at the railway station for a day ticket of £5 (coins). If you prefer to walk please bear in mind a very steep walk. Owners and staff all very friendly and helpful. Food excellent and good selections - both the breakfasts and the dinners at The Bean Inn. This is a place we thoroughly recommend. 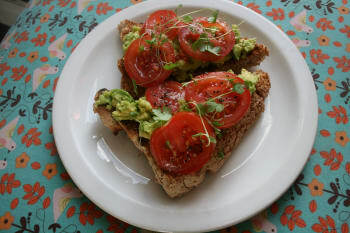 Local exclusively vegetarian (with plenty of vegan choices)eateries: Spinachio's in St Ives. Archie Brown's in Penzance and Truro .... but you cannot go wrong with The Bean Inn! We really enjoyed our stay. It was a very relaxed and friendly atmosphere. A wide choice of vegan cuisine produced to a high standard. The room was clean and the bed was very comfortable The room also provided a fantastic sea view. Very friendly staff. Could not do enough for us. The Bean Inn restaurant is marvellous. Lovely relaxed atmosphere and food was very tasty. If you stay without a car be aware that the walk from the railway station is quite strenuous with luggage, but the walk into St Ives is lovely. Run by an excellent team, who ensure that you feel welcome but are not crowded. They provide a great vegetarian breakfast, and most nights the excellent in house vegetarian restaurant is open. There are stunning views of the sea from most rooms, especially from the second floor. The location is perfect in that you are a short walk along the coastal path from the crowds of St Ives. We stay regularly and for good reason as Coast meets everything we want for a break away. Lovely friendly helpful people, delicious food comfy room with everything we needed. Excellent value. We stayed in bell heather & it was a lot smaller than it was in the picture, but comfortable. The decor was pleasant. The garden to the front was a bit messy, it would have been nice to enjoy the Cornish sunshine of an early evening. Breakfast was good, plenty of choice for cereals, more local fresh produce would have made it exceptional. easy location easy parking great view one drawback had to vacate the lounge as it becomes a restaurant at 5:30pm then there is no where to sit with laptop , no lounge, and no wifi in the room. many places i stay now have easy plug in wifi extenders in every room to overcome this. I enjoyed my visit with my brother, very nice people, the only slightly negative aspect I would say is that being a Vegan, it's a shame that Coast b&b is only vegetarian. It would be a really positive step forward in my opinion if you served only Vegan food due to the imense cruelty involved in the dairy industry. Thanks for a nice stay though, and I hope you move forward in the right direction. Everything and everyone was just lovely`- breakfast delicious and the meal we had in the restaurant was wonderful. Lovely walks as long as you want to make them. Scenery fantastic everywhere you look. Lovely atmosphere, lovely staff and great food! Unfortunately the shower in my room was not powerful enough to wash my hair, and additionally went from extremely hot to cold in seconds. Luckily I had friends staying nearby which meant I could use their shower. I would love to stay again but only if I had access to another shower somewhere. Carbis bay beach is lovely and great for kids. everyone was very friendly, we really enjoyed our stay. Breakfast was excellent apart from the bread for toast, would have liked something better than than the standard brown and white sliced loaves. Really enjoyed the fruit and yoghurt nicker bocker thingy! Hope to see you again. Catch the bus from St Ives to Zennor and walk back along the coast path. Brilliant views and very good exercise! Very friendly, willing to help and suggest places to go. Great place to stay. Staff very helpful. The room was comfy and well provided. The instruction book was well thought of and gives useful tips. There is free parking that comes with the booking. Above all we found the in-house restaurant most useful and delicious. Breakfast was substantial and a good selection. Especially after a full day out, one has the option of having excellent vegetarian food and then relax in the room. Driving from London we found this as heaven on earth! The short walk to Carbis Bay beach was delightful especially in the morning before breakfast. No one was around and it felt like a private beach! The location is really good as it is very convenient to drive in and out in order to explore surrounding areas. We had a lovely stay. The Bean Inn food was fantastic. We especially loved the vegan pancakes with maple syrup and ice cream, infact so much we had them for breakfast as well. Don't just have the amazing breakfast stay for dinner too. Coast walk to St.Ives was beautiful.Everyone at Coast and Bean Inn were lovely and full of interesting suggestions of places to visit. I loved my stay here. It's a freindly but laid-back atmosphere, good rooms, good location, and The Bean Inn serves excellent food. Yes, I would definitely stay at Coast again. Warm welcome; comfortable clean room. Our only regret was that the restaurant was not open, as it was a Monday evening. But there was an excellent breakfast. Well situated for walkers. We had a light meal at the Carbis Bay Hotel - wonderful views and less expensive than we'd thought it would be. The room was really cosy, service excellent and breakfast delicious. I would definitely stay again. All amazing- just the bin was overflowing in the bathroom! They recommended a coatal walk from Sennan Cove to Lands End - a highlight of our stay. All was wonderful. Just 2 points. It would have been good if there were block out curtains in the room as sun woke us up very early. May I suggest that you put out more fruit for breakfast. Very friendly and welcoming. Food was great. It was nice to be able to eat in, have a few drinks and not have to drive / taxi / bus to the guestroom. St. Ives is a lovely coastal town. The Tate is a good way to spend a couple of hours. 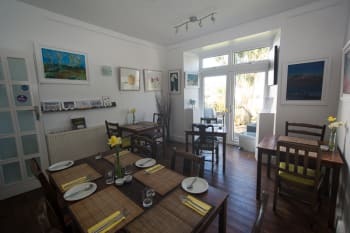 Year after year, I am drawn back to Coast - for its friendly talented owners and staff, simple mellow ambience and setting - high up on the St Ives Road with views to the sea and the famous Godrevy lighthouse beyond. 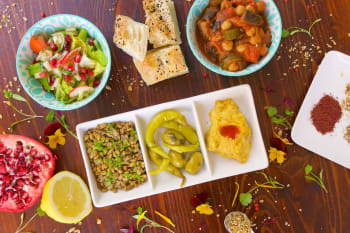 In addition to the very tasty and substantial vegetarian breakfasts, there is on site an excellent vegetarian restaurant open in the evenings -'The Bean Inn'. The delicious recipes have been devised by Paula and Kate who have co-authored their very own cookbook - 'Yummi' which is also available for guests to purchase should they wish to do so. The ensuite rooms are simple yet thoughtfully furnished - there is a distinct eco-feel throughout and many original art works on display. TV, tea & coffee facilites in every room. It is also possible for guests to sit out or dine in the front garden with sea views. All very reasonably priced and affordable for singletons as well as couples and families and especially those on a budget. I highly recommend. For those without transport, St Ives is just a brisk 15 minute walk downhill. Alternatively, there is a regular bus service outside on the St Ives Road. Nearby and also downhill is the wonderful sandy beach at Carbis Bay and the railway station which runs regular trains into St Ives. The train (which feels very like a toy train), winds around the headland above the beach to St Ives and takes about 5 minutes approx. £2 return! Also runs in the opposite direction through Lelant to St Erth where it links the Paddington - Lands End line. For daytrips there is a great little travel agents called 'Oates Travel' in the centre of St Ives, running day returns to Mevagissy, Lands End, The Eden Project, Tintagel, Jamaica Inn and other places of interest - again, all very affordable. There are many artists working in St Ives and the Tate Gallery overlooking Porthmeor Beach (great for surfing!) and The Barbara Hepworth Museum and Sculpture Garden are well worth a visit. Gail and Paula were very friendly and accommodating. Staff very friendly and helpful at all times. Very nice B&B that I woul recommend. I had to leave early in the morning and they provided me with a delicious bagged breakfast - thank you! This is about the 5th time I have stayed here and it is always a positive experience. The service and the food is excellent. I have a vegan diet and they provide delicious choices. Would recommend this to anyone. When The Bean Inn is closed on Monday then Spinacios, a veggie restaurant, is open and vice versa so there is always somewhere good to eat for veggies and vegans. We had a very pleasant stay, excellent food both at breakfast and in the Bean restuarant during the evening. Staff very friendly and helpful. Ideal base for vegetarians, definately coming back as so many walks yet to do. Lovely room with great view of coastline. Ideal location for walking into St Ives along coast path as parking is a nightmare there. If you like walking, walk the coast path to Cardis bay and beyond, stunning coastline and fantastic beaches. Very welcoming: nice that you're veggie (with good food!). Room was well priced (but, therefore, a bit tiny - had to sit on windowsill to watch telly). Bed so, so low I almost had to move out when it came to bedtime (actually considered sleeping in the car)- but that was my fault as I should have checked that in advance; someone without wobbly hip would have been OK. But oh my goodness! The noise from the adjacent bathroom! Try and eat at the restaurant. Minack, of course... just being in the area feels good. Great Views from our bedroom, really nice decor, and fantastic restaurant. What a goergus place to stay in Carbis Bay, we had a fab 3 nights there, the restaurant is great, brilliant menu and decor so quirky, we loved the matchstick guitar and blue velvet cinema seats. Amazing artwork too unfortuantely we didn't get a chance to buy, but all the more reason to come back again soon!! Coastal walk from Carbis Bay into St Ives is beautiful. We did the boat seal trip which was fun. Spoilt for choice reataurant and bar wise, we had a drink at the Sloop on Sat night, really good atmosphere. A lovely veggie B&B, with great friendly staff. Food is yummy - I love the Morningbokkerglory! When you are not eating at the Bean Inn, try Spinacios in St Ives (veggie restaurant). Things to see - the Mermaid at Zennor Church, Madron Well and Celtic Chapel, Men-an-Tol, Lanyon Quoit - and then Lanyon Tea Rooms for sweet and savoury cream teas. Perfect. Thank you for amazing food Paula. Visit Carbis Bay beach at the beginning of your trip, don't leave it until the last day - it is a gem. Very friendly staff. Excellent breakfast (and dinner). Must have a meal at the Bean Inn. Try not to drive through the town centre in the evening, even though you are allowed to. Look up parking places before you leave Coast - the signs take you to car park on top of the hill that is a (£2 return) bus ride away. There are nearer ones. Felt very comfortable and that there is a lovely ethos underpinning Coast and The Bean Inn. I can heartily recommend this accommodation. We had a great stay - our only suggestion would be to extend the internet service to the top floor, especially as there is no common space downstairs in the evenings. The coastal path out to St Ives and beyond is a must. Taking the open top bus to Marazion was also great, and the bus stop is just over the road from Coast. Lastly, we thought the ice cream from Moomaid of Zennor was the best. Top floor room we stayed (Sea Holly) has a great view but poor Wi-Fi connectivity. Fantastic food and friendly helpful staff. Beautiful room with great views. Walk into St. Ives along the coast path. Tate always worth a visit and stop in the cafe to check out the views. Drive just out of St. Ives towards Zennor and pull in at Little Trevalgan for spectacular 360 degree views back to St. Ives. Walk coast path from Zennor to lands end or Sennen cove and get the bus back. Check out Lavant and Geevor tin mines for local mining history and walk along coast path towards Botallack for more mines on the cliff edge. We really enjoyed the excellent breakfast and food served in the Bean Inn. eat at spinacio's and the bean inn!! Very welcoming helpful and friendly. Comfortable rooms and great food. I think when someone is booking for nights when the Bean Inn is not open it would be helpful to point it out, as otherwise you only find put when click through to the Bean Inn Website. The fact you have a restaurant on site is one of the main attractions if you are a veggie traveller. Spinaccios on the Harbour front in St Ives is excellent although I am sure you are too! Not open Wednesdays. 100% vegetarian If getting bus into St Ives buy return tickets as valid for several days and much cheaper. While the room, breakfast and hospitality were all excellent, a major drawback for us was the lack of internet access. This is the only thing that is likely to stop us re-booking as we didn't realize it wouldn't have internet and in future we would look for a b&b with internet in the first instance. Our second stay at the Coast and we'll hopefully be back again next year. Relaxed, friendly and welcoming. It's like being at home but with much better breakfasts. Such amazing vegetarian food at the Bean Inn (same building as the Coast). If you are a vegetarian/vegan then you'll want to go no further, but you'll need to book early. Things to do: Check out the Japanese gardens near St Mawgan - a hidden gem. I really enjoyed my stay at Coast. The people were friendly, the breakfast was excellent with a nice choice and flexibility. The rooms were nicely furnished and clean - I was lucky enough to stay in 2 different ones, although 1 was less comfortable than the other. The one slight negative was the noise from the road and of course the seagulls. If you are easily woken, I would give up the sea view for a room on the side or the back away from both cars and gulls. I was so very lucky to get a lift from Kate to the station in St Erth when I confused the time of my train back to London - really nothing was too much trouble for these very relaxed hosts. I was very very grateful. The only thing which I think could be nice is a seating area for people to sit in if the weather is not nice enough to sit outside. If you are an internet addict, be warned that the surroundings of this area are poor for connectivity both wifi and phone. All over St Ives it's hard to connect - so make sure you have a contingency plan. The coast path into St Ives takes no more than 20-30 minutes for an average speed walker (taking time for photos!!). Probably best to get the bus for young children. There is a Tesco open until 10pm 6 days a week, within 5 minutes from Coast where you can stock up on bottled water or other necessary items (plasters and savlon for me unfortunately..). The nearest train station is a 6-7 minute walk, but beware the very very steep hill when you arrive. There are not really many taxis around - at least not that I saw, so probably best to get one of the internet and call in advance. Ace cars are good. The Bean restaurant is very very nice, but small, so think about booking in advance if you want to eat there. I really enjoyed the view from our room. The staff were really helpful, offering plenty of information on the local area and suggestions of good places to visit. The food in the restaurant was exceptional, I thoroughly enjoyed it. the breakfast was lovely, although perhaps would have been nice if there was a better selection o fruit. Definitely eat at the Bean Inn! This was our second stay at Coast, and it was just as GREAT as ever. Friendly relaxed atmosphere, comfortable setting, stunning views, brilliant vegetarian food, and a resident cat. What more could you ask for? The evening meal we enjoyed in Bean Inn was the best I can remember, and was really good value for money. Coast path to St Ives - It doesn't seem to be sign-posted from the main road, as you say in your information file. This is a great guesthouse with a great location overlooking the sea with easy links to public transport. The Breakfast was superb and the rooms comfortable. We enjoyed the Bean Inn restaurant which had great food. Eat at the Bean Inn is a must! Staff were amazing...the main issue was the shower did not work..so ran boiling hot then freezing cold...so for 3 days this was not very comfortable. Even the bed sheets had some blue marks on them? The room just needed a bit of overall TLC. The breakfast felt pretty basic too and the hot food pretty avaerage...especially given the positive reviews given elsewhere. Even a hot chocolate ordered one evening was served cold. Sorry!Otherwise the location and as I have said were lovely. Please enjoy the vegetarian Bean Inn restaurant which is attached to "Coast"
Very nice room at the top of the house, we genuinely enjoyed the great view. Lovely breakfast with many delicious choices. Staff is very friendly and gives excellent recommendations for worthwhile excursions through Cornwall. Would stay there again! The Bean Inn, which is located at the ground floor of the Coast B&B, serves really excellent vegetarian food - one of the best dinners I've ever had! Beautiful hotel with lovely views, staff are very nice and extremely helpful would recommend. Do eat there, at least once! Thoroughly enjoyable stay. Very friendly & helpfell hosts. Delivers what it says on the tin! Very friendly and welcoming, weather info was much appreciated. Thought it a little bizarre that you promote not chambermaiding daily, however it didn't spoil my stay. A very welcoming, super clean and comfortable B&B. Rooms are small, but bright and with appropriate en-suite bathroom facilities. Very friendly, willing and accommodating staff. Lovely vegetarian meals which both look and taste superb. Certainly recommended. Well located and within comfortable walking distance of the centre of St Ives (though you may prefer to take a bus or taxi for the uphill return journey). St Ives is full of cafes, restaurants and tourist attractions, and the region offers wonderful walks and views wherever you turn. Lovely location and a super-friendly welcome from the owners. Many thanks. I am lucky enough to travel the world visiting veggie restaurants and I am pleased to say that Coast/Bean Inn is the best, the food is fantastic, and flexible to meet all veggie and vegan requests, Having stayed in five star hotels all over the world none meet the cleanliness standards at Coast, Finally the red wine selection was perfect ! Perfect location to walk down to Carbis Bay beach, 15 mins, walking back up depends on your fitness ! I take the easy option and walk the Coast path to St Ives, way back is a bus or taxi, £3.50, or a nice uphill walk ! I think it was a very nice room and you provide great flexibility for the key. Breakfast to go was not great as croissant was very dry on FRiday (better on Saturday). It was a shame that wifi did not work from our room and that curtains are not strong enough to protect from the light to come in. On both morning, we woke up quite early. If breafast could be extended up to 10.00am it would be nicer for the week end. Fantastic location with ample parking. Staff were fantastic, really helpful. Breakfasts are great. We ate in the restaurant one evening and can't speak highly enough of the meals. Accommodation is good value. Very friendly staff who make you feel very relaxed and that nothing is too much trouble. Breakfast was very tasty and the laid back atmosphere at coast makes you feel very much at home. I would highly recommend this lovely little place to anyone looking at staying in St Ives. bus times on an info sheet in the entrance would be a great help. quite place. very clean and tasteful rooms. 30 min to walk to st ives. nice on the coastal walk. busstation infront the house. paradise for vegetarians. restaurant closed Sunday and Monday. Lovely people, great room and the food was excellent. My only reservation was that the size of our family room was a little small. Apart form that it was brilliant! The Tate was closed for renovations, but the Barbara Hepworth Museum is definitely worth a visit, even with small children. Their family activity provided a great couple of hours entertainment for our 3 year old - searching for different items in the museum and drawing the sculptures. We ate at the Bean restaurant every night (except the Sunday). It's part of the Coast B&B on the ground floor and the food and service was excellent with plenty of options for vegans. One added bonus is that the bus stop is just outside with the train station within easy walking distance. Great for going on a family walk to St Ives or along the coast, enjoying the beaches and catching the bus, or train, back.